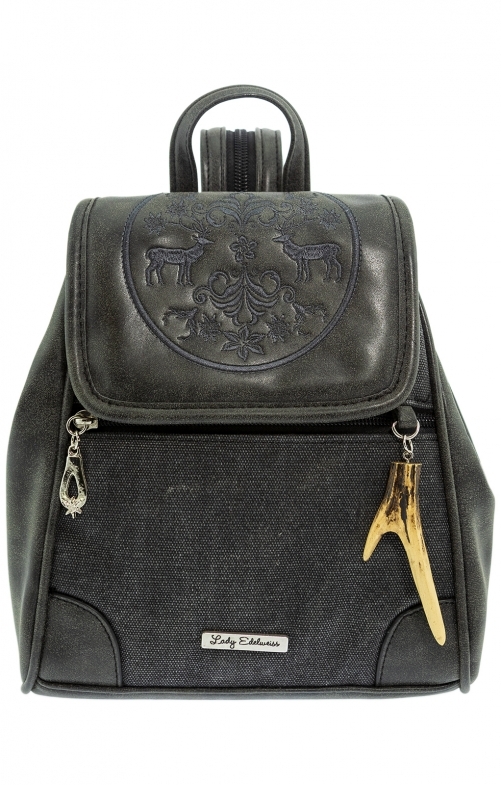 Costume bag 11510 in anthracite by Lady Edelweiss with deer and horn. The dark women's accessory can be combined in many ways. The handbag in backpack style is made of synthetic leather and textile. Adjustable straps provide comfortable wear. The flap above the main compartment is embroidered with a striking pattern of deer, flowers and trees.